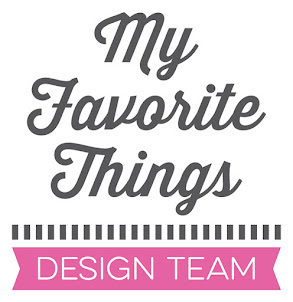 Stamping A Latte: April MFT & Friends! Hi everyone! Happy Tuesday! It's time! It's time! The FABULOUS April MFT Release is available NOW in the MFT Boutique! Hooray!! Today I have a project to share with you using the ADORABLE new Piggy Pebbles, Piggy Pebbles Die-namics, Fishtail Flag Trio Die-namics, Paper Bag Treat Box and All Lined Up Background! SWOON! I honestly don't know which of these new products I love more! 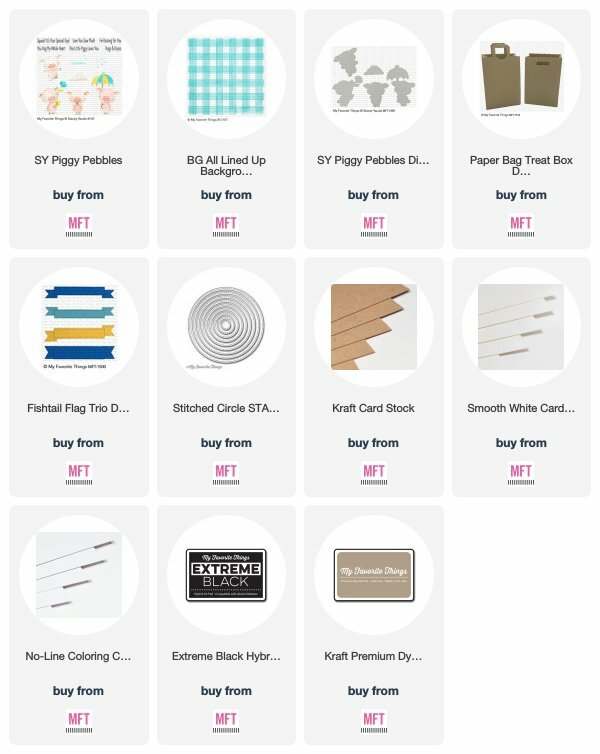 The new Paper Bag Treat Box is BEYOND fabulous! It is the perfect size to house a gift card, or perhaps a pair of earrings, or lip gloss! I LOVE this and know I will use this A LOT! I cut the bag from Kraft Card Stock and stamped the front panel using the new All Lined Up Background with Kraft Premium Dye Ink. The pig (OMG, how cute!) was cut from No-Line Coloring Card Stock using the Piggy Pebbles Die-namics, and stamped her using Extreme Black Hybrid Ink with Piggy Pebbles. I colored her with Copic Markers and then popped her up with Foam Tape onto a panel of Smooth White Card Stock cut using the Stitched Circle STAX Die-namics. I used the AWESOME new Fishtail Flag Trio Die-namics to cut the sentiment panel from Smooth White Card Stock, and stamped "Squeal! It's Your Special Day" from Piggy Pebbles using Extreme Black Hybrid Ink. I added a little bow of Hemp Cord to the handle of the bag to finish it off! Thanks SO much for stopping by! 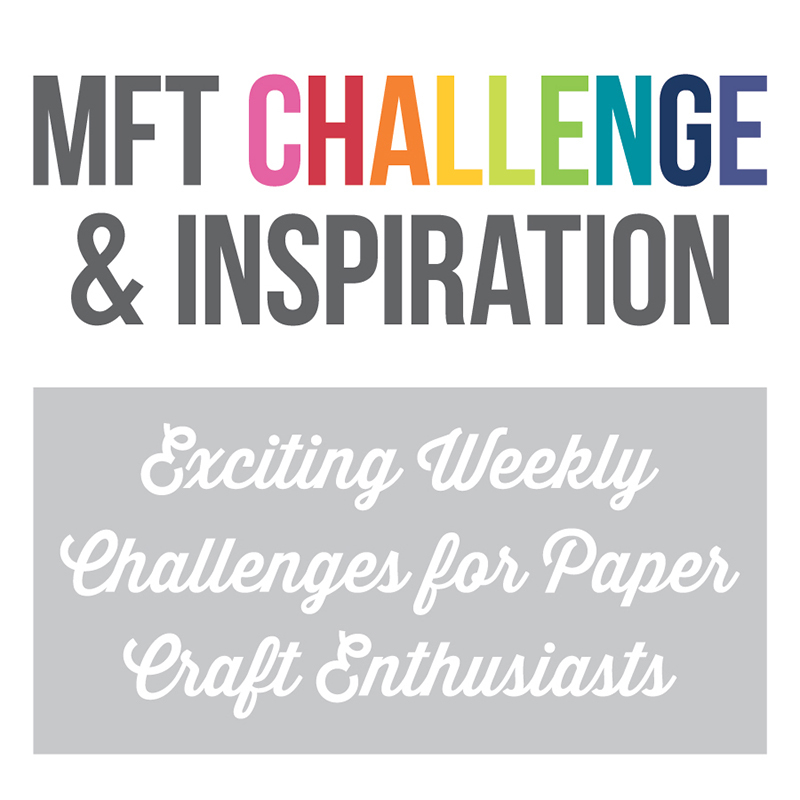 Please head over to the MFT Blog to check out what the rest of the team has created, and for a chance to win an MFT Gift Cerificate! Awesome gift bag! :) Love how you used the new background stamp to add some texture to the bag. Super cute gift bag, and a really nice touch with the use of the signature pink MFT packaging tissue! Adorable bag!! Your piggy is colored perfectly!! Awww!!! How sweet!!! Adorable gift bag!!! Oh, so cute!! 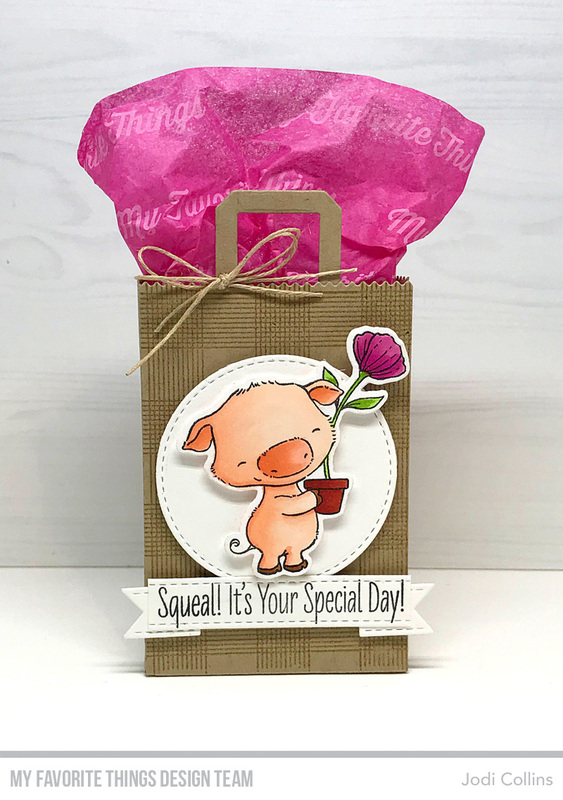 This piggy is adorable and I love the new little treat bag die!! I love it. That background stamp is already on its way to me! Such a cute little treat bag! Love this pig! 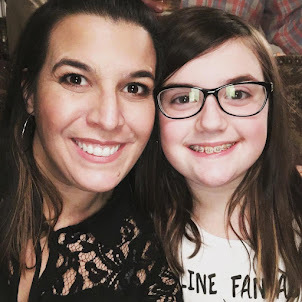 I'm loving seeing Stacey's little pigs on this blog hop. They are so sweet; they just don't get old! I really like how you added the tone-on-tone background to the bag. That little extra detail adds a whole lot of fun to your project. Thanks for sharing! I just LOVE the sentiment with these little pigs, you project is so cute and the colors are beautiful! I would SQUEAL if I received this cute gift bag! Love this cute piggy gift bag! what an adorable way to present a gift! thanks for the inspiration Jodi! Awesome little bag! 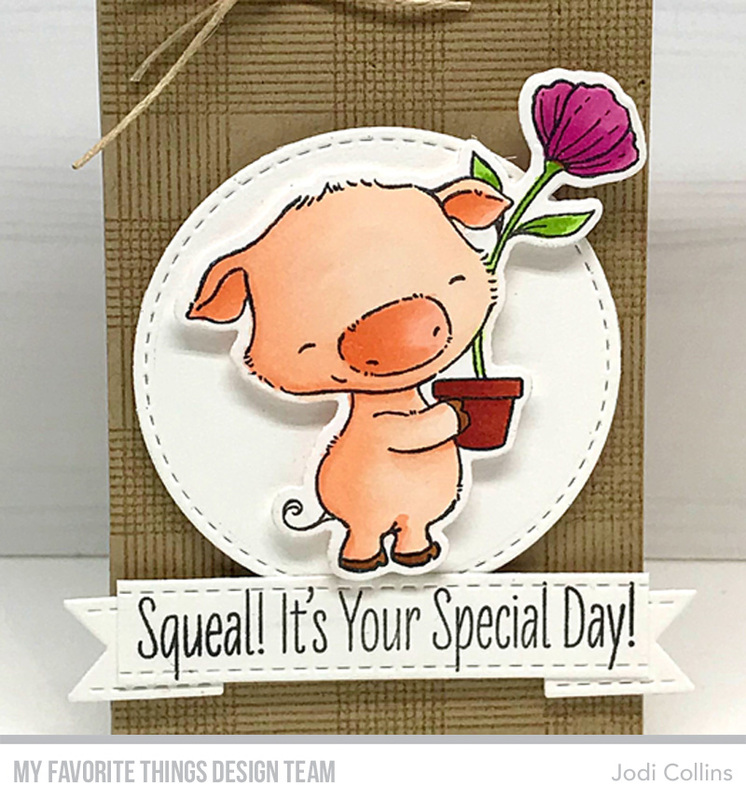 Love the background stamp and that adorable piggy! What an adorable gift. Thanks for sharing all your great projects this month. Lovely, the white really pops against the kraft background. Love the treat bag and the piggy, of course, too cute to resist! Love this adorable fun gift bag! The sentiment is perfect! What an adorable gift bag. The background stamp really adds a nice texture to it. lovely gift bag, I love the colours of the matching flower and tissue paper. Sorry please delete the last comment. I forgot that I had commented yesterday. Very cute bag!!! Love the pig and that background stamp is awesome! Wonderful gift bag! 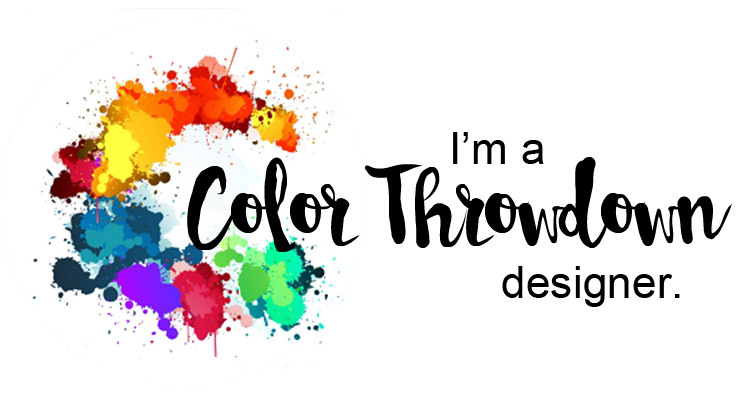 Your colouring is beautiful! Great gift bag! Love the background stamp on the Kraft paper. I love your treat bag! And that pig is just SO cute! 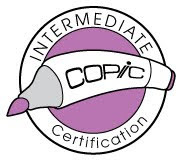 Love how you used the background stamp. Aww this gift bag is so adorable. What a sweet gift bag! Perfectly adorable.